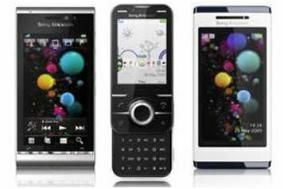 Sony Ericsson brings Pocket TV to your mobile | What Hi-Fi? The Pocket TV series will span 13 weeks from June 4th, and each episode will be available for free download in five, 90 second segments. Hosted by Matt Edmondson from Holy Moly TV, with help from a team of roving reporters, the show will feature "irreverent, humorous and enlightening interviews" with artists and bands, plus live sessions and behind-the-scenes features. Episode one includes Brit Award winner Florence and the Machine, N-Dubz and American group Hockey. You'll also get to see appearances from the likes of Mika, The Gossip, Maximo Park, Jordin Sparks and Marilyn Manson. Aside from music, Pocket TV will also get you all the latest goings on in comedy, fashion and film, as well as video contributions from viewers posted on the YouTube channel. You can download the series to your phone via the dedicated WAP site – pockettvshow.mobi – or watch the full 15 minute show on YouTube.